Brighton Booch makes small batch, raw and natural Kombucha, a fermented health drink which contains probiotics. Kombucha is a naturally carbonated drink made from a process of fermenting sugary tea. It converts into a low sugar but sweet and tangy effervescent drink. 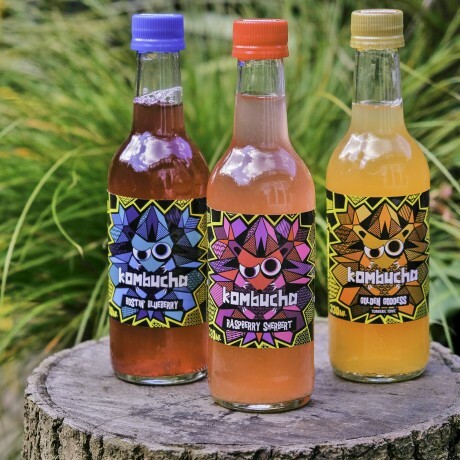 This is the 'Naked Booch', which is then flavoured with herbs, spices or fruit to create delicious and unique fizzy drinks that are bursting with flavour. Available as packs of 24 x 330ml glass bottles of Kombucha. If you choose the Mixed flavour then you will receive 3 x bottles of each flavour you choose. Either select a predefined flavour combination or select the 'mixed option' and choose which flavours you would like. Brighton Booch deliver Tuesdays-Fridays to mainland UK. Their Kombucha has a shelf life of 4 months but will need to be kept refrigerated and once opened consume within three days. 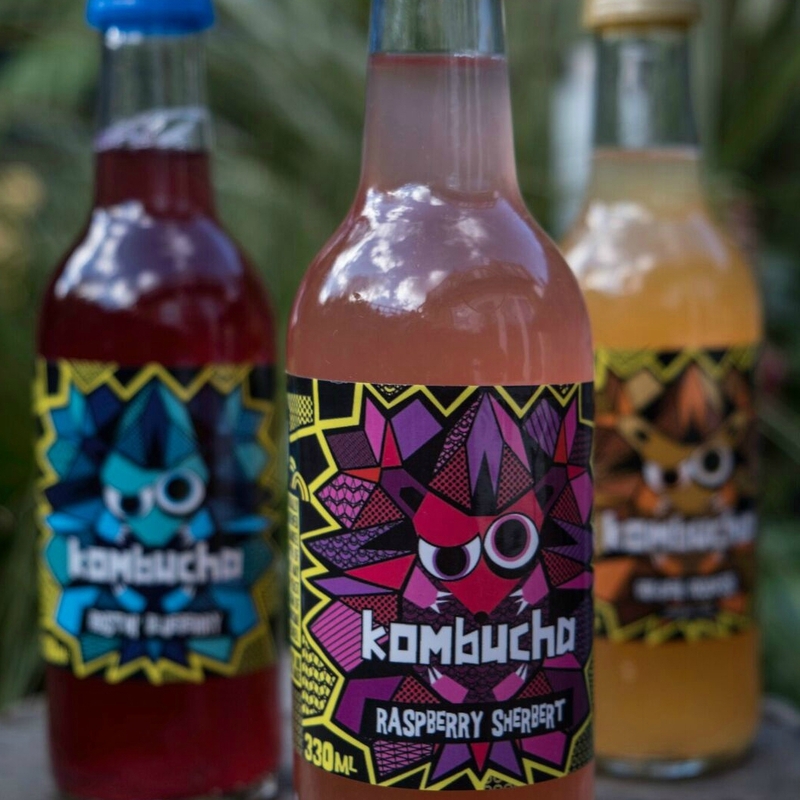 We love your products both Kombuchu & water Kefir. I bought it for myself & have had to share it reluctantly with rhe entire family . The tastes are mild & subtle but very refreshing. Just taken delivery of my first order. Just taken delivery of my first order...wow! Pimped my dinner with a huge helping of kimchi, washed down with tropical kombucha! Taste sensation!! And super-healthy too. Sauerkraut on the menu for tomorrow!! This product is dispatched by Brighton Booch. This item has a shipping weight of between 14g and 14g depending on the options selected. Proud producers of Kombucha (Kom-boo-cha) a fermented fizzy drink.